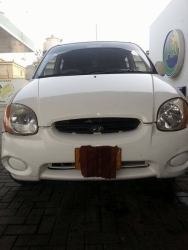 My car is in very good condition. in original paint. no work. purchase and drive. 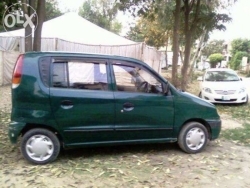 AC-CNG in working condition. Power Steering , AC Working and First Owner. 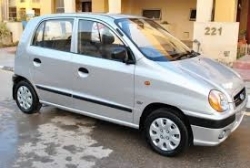 Total Genuine (interior, exterior, meter & every thing), home used (By lady only), very carefully driven, interior 9/10, exterior 6.5/10, original mats and poshish not used since purchased, Power steering, Cd Player Pioneer, Original Book+File, Token Life time paid, Power keyless locking, excellent chill A/C, CNG 55 ltr, jst need to replace with honda city. Urgently sell. Only serious buyers are welcomed. JazakAllah. 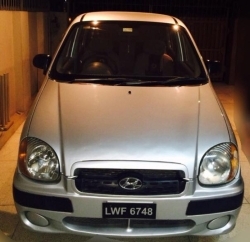 1st owner car Non CPLC Non accidental Original number plates Chilled A/C Powerful "SEALED PETROL" engine Excellent mileage Throughout driven on petrol Scratch less interior Perfect Suspension New Dunlop tubeless tyre Steelmate security system New AGS Battery Leather Seat Covers USB and AUX player LED Speedometer Peaceful Smooth Drive Everything's working perfectly from back-wiper till front bumper fog lights. 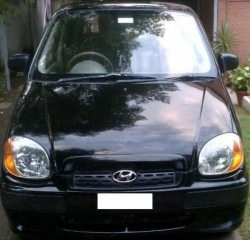 * Karachi Registered * Model 2003 * Metallic Grey * Power Windows with Central Locking System * New Rims with Wheel Cups * New Yokohama Tyres * New Poshish * First Class Air Conditioner Cooling * New High Capacity Battery * Default Sound System * Air Press Installed * New Foot Mats with Carpet * New Security System with Two Remote Controls * Fully Maintained by a Govt Officer * No Dealer No Broker, only serious buyers as price is fixed. * No need of any kind of work. 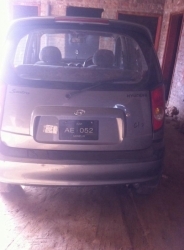 Just start and drive the car to any area of Pakistan. This is my personal used favorite car. I need to sell it to purchase new one withing few weeks. So hurry up. 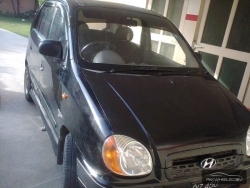 It is very good car for family use. Its engine is perfect. Therefore, no bargaining, no dealers please. 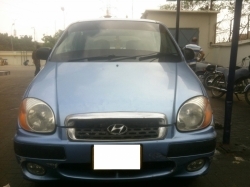 I am selling my car Hyundai Santro 2003 Model and 2004 Registered. 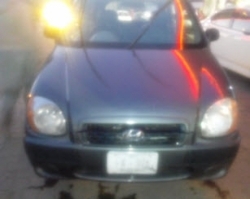 Excellent condition 'Perfect ride' 2008 model. 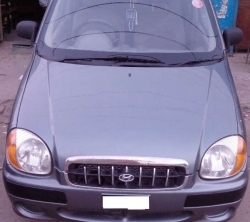 Homely used car ,used in proper n safely way... neat external and interior.Not accidented Factory fitted AC and Genuine CNG Superb condition Faisalabad registered excellent fuel economy ( for petrol / cng both ) 210 km on full Cng tank 18-19 average ( subject to quality of driving ) token paid. Color Black. 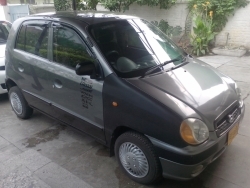 Power Steering, Power Windows, AC, CNG, Genuin Seats, Alloy Rim, New Tyres, Engine in Excellent Condition. Mostly Driven on Petrol. Lahore Number. Lifetime Token paid. Urgent Sale.